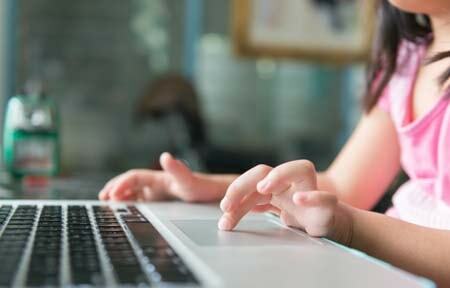 Hopefully, we’re catching you as you first set up your child’s Chromebook, as parental controls work best when you, the parent, are designated as the owner of the laptop. In fact, any device or application that offers a master account should have a parent assigned, to better able to monitor your child’s activity. Holding the master account to a device, and designating user accounts for your children, is definitely not foolproof. Turn off Guest Browsing by clicking on your profile in the lower right-hand corner of the home screen. Scroll down to the People subheading under the Settings menu, and click on the Manage other users button. Under the Users menu, make sure the box to the left of Enable Guest Browsing is unchecked, and that the box to the left of Enable supervised users is checked. 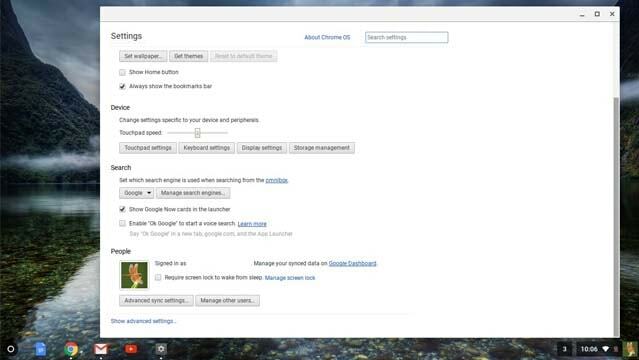 This will ensure that your child’s web activity is monitored and filtered while they use the Chromebook. If you, the parent, are signed into the Chromebook, sign out. If you’ve not yet created any accounts for your Chromebook, go ahead and create your (parent) account now. Chromebook will not allow you to create a Supervised User account until a user is registered to the device. On the home screen, select Add person on the bottom left side of the screen. Click the blue Create a supervised user button in the pop-up screen. Create a username and password for the Supervised User and click Next in the bottom right-hand corner of the popup screen. You will know that you’ve successfully created a Supervised User account when you receive a confirmation email. Once you’ve set up the Supervised User account, you can manage it from the Supervised User dashboard in Google (search: “Supervised User Dashboard” if you don’t already have the link). 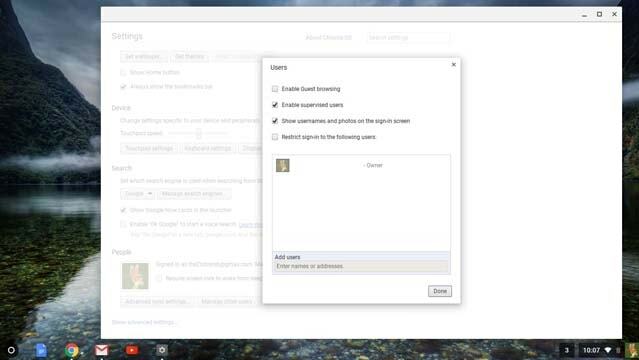 In the dashboard, you can use a blacklist to block specific sites, lock Google SafeSearch, and view the web browsing history; Supervised Users can’t delete their web browsing history. It’s important to note that Chromebook and Google’s SafeSearch filtering systems aren’t foolproof. In fact, many parents have expressed concern about SafeSearch and the amount of inappropriate content that still makes it through. Find more resources for setting up the device's native parental controls and learn How to Set Parental Controls for Nintendo Switch, How to Set Parental Controls for Windows 10, Apple Parental Controls, YouTube, and How to Set Parental Controls for Kindle.